This offer won't last long — Get it now! The proof copy of The Way to Vict’ry: Haiku Illustrated by Cristina Basile has arrived! It looks great, but the printed proof reveals a couple problems that can be fixed. Perfection is possible on rare occasions. This is one. The corrections are easily made, and the proofing process will require only a couple more days delay. I look forward to the release announcement around the middle of the week. Keep a peregrine’s eye out for that, because I expect to launch with a special reduced price for the first few days. This is a layout preview of the second haiku from the paperback edition of The Way to Vict’ry: Haiku Illustrated by Cristina Basile, scheduled for release Friday, July 28. The Kindle edition is available now. To be released Friday, July 14, the Kindle edition of The Way to Vict’ry: Haiku Illustrated by Cristina Basile is now available for pre-order at a reduced price. 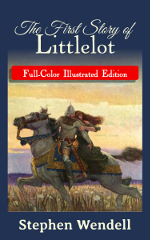 Place your order now to get this beautifully illustrated ebook for only 99 cents. 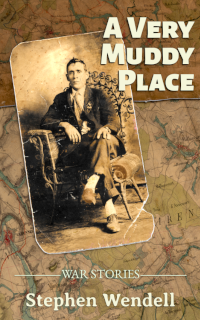 The book will be delivered automatically to your Kindle device on Friday. The price goes up to regular retail, $1.99, on the day of release. 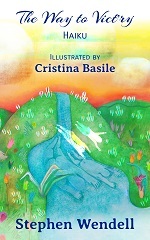 The Kindle edition of The Way to Vict’ry: Haiku Illustrated by Cristina Basile is scheduled for release Friday, July 14. The paperback edition will come out toward the end of the month. Below is a preview from the ebook, the third haiku with its illustration. Subscribers to A Peregrine’s Path get the electronic edition (PDF, EPUB, and Mobipocket) of this book free on release. The Way to Vict’ry is an ebook of three haiku inspired by Sun Tzu, Matthieu Ricard, and a magpie flight instructor. In Sun Tzu’s Art of War, the fifth-century BC Taoist author likens the successful battle plan to a watercourse: it follows the path of least resistance to its objective. Buddhist monk Matthieu Ricard devotes a chapter of his book Happiness (Atlantic Books, 2012) to the ego. He suggests the ego, imposed as a shield, becomes a target, which attracts suffering. These works inspired the first two haiku in this book. And the magpie flight instructor? It’s one of a mated pair that makes its nest in the bay tree behind the house. The springtime garden is a cacophony of young magpies on flight training day. In haiku form, the lessons are easier to retain. These three have become personal mantras. Spread your wings to catch yourself.